When it comes to managing your stock of keys, it’s fair to say some methods are far superior to others. A manual pen-and-paper system is going to have many shortcomings – one of the most frustrating being an inability to manage your key inventory from a remote location. It doesn’t have to be that way. With CIC Technology’s electronic key cabinets and management software, KeySecure, remotely controlling your organisation’s keys is as easy as a few clicks. If you have a ‘dumb’ key cabinet with no electronic features, you can’t change who can access it when you’re not physically there. 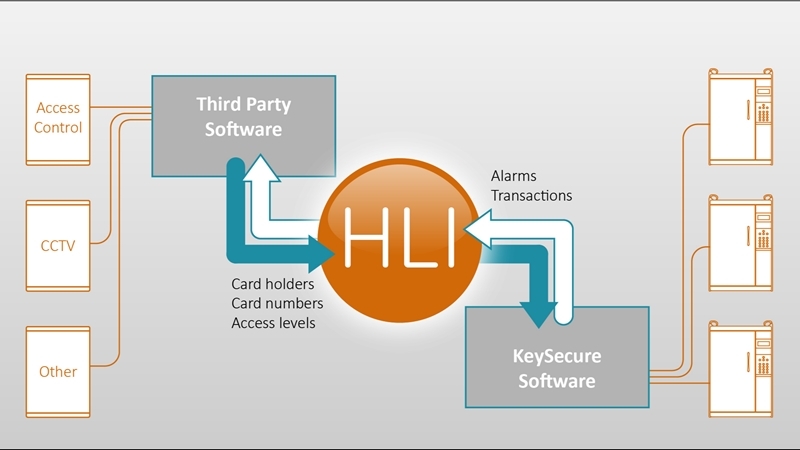 Many businesses today are still managing their keys with a manual system. While this might be fine for a small organisation with only a couple of keys, a collection any larger soon becomes unwieldy and inefficient to manage. Besides the issues that can occur with incorrect information being recorded, a manual key management system requires someone be physically present to sign out the keys at all times. This severely limits the time frames in which people can remove and return keys. Even if you have a ‘dumb’ key cabinet with no electronic features, to which authorised users have access, you can’t change who can access it when you’re not physically there. Someone has to be given a key (or have it removed) by you in person, making key management a very time consuming and laborious process. With CIC Technology’s key cabinets, being physically present all the time is no longer required. Once you’ve set up the necessary permissions, authorised users can remove keys from the cabinets themselves, with no administrator interaction required. Not all the keys inside the cabinet need to be accessible to each and every user either – you can set things up to allow for different keys to be removable depending on who has opened the cabinet. In short, you have complete remote control of almost every factor involved in your key management system. The tool you’ll use to manage your keys remotely is our KeySecure software. You can co-ordinate all the user permissions, notification settings and alarms that you want your key cabinets to function with. Time limit – set a deadline time by which a key has to be returned. If it has been out for too long, an alarm will be generated to notify the manager and/or the user to return it. Flexible allocation – single keys or groups of keys to individuals or groups of users and alter the access profiles as your needs change. Return notifications – if the timer runs out, configure automatic alarms that send a reminder via text or email to the key users to return the key even if they are off site; but also to you, the manager, to have up-to-date information. Same user return – specify that the person who removed a key from the cabinet has to be the one to return it. Dual sign out – require more than one user to be present to sign out certain keys. Time zones – Users or groups can also be restricted by the times they are allocated to access keys; for example, Monday to Friday 9am – 5 pm. Once you’ve set the rules you want your cabinets to operate on, they run automatically without the need for any further input. 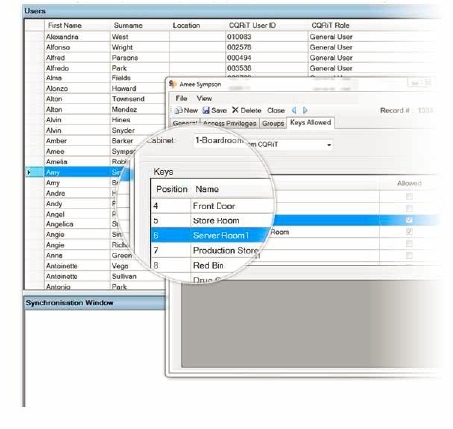 Key users can take and return keys, with all transactions recorded in the software for accountability and analytic purposes. With CIC Technology’s C.Q.R.iT electronic key cabinets and KeySecure, remote management of all your keys becomes a breeze. To learn more about how our solutions can benefit your business, request a free product demo today.